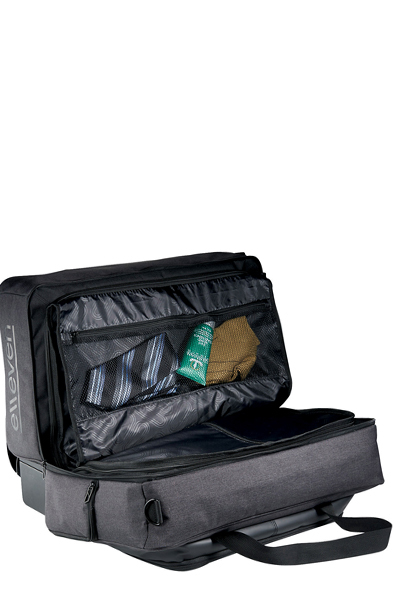 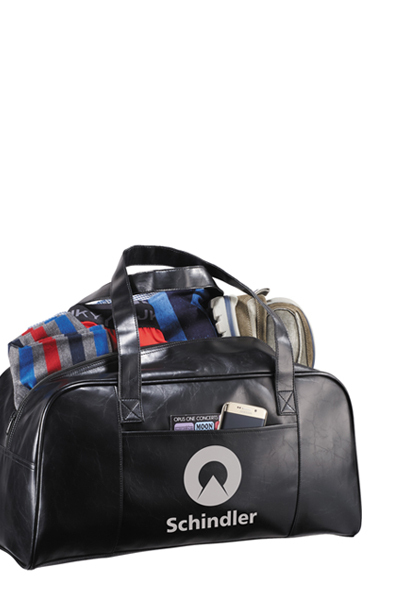 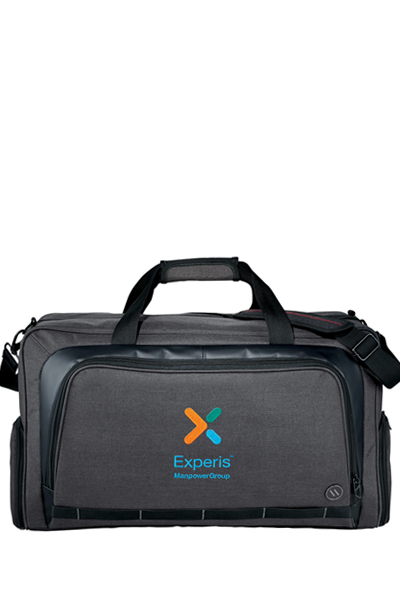 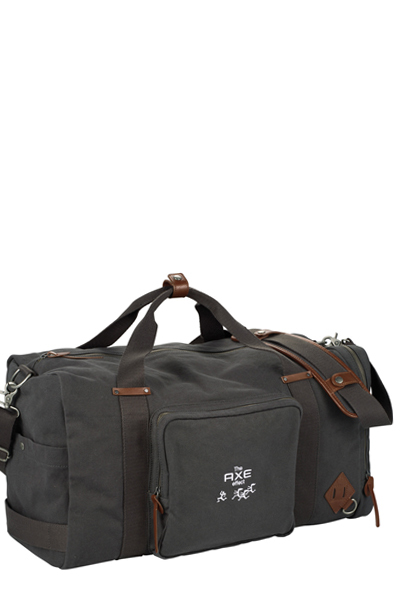 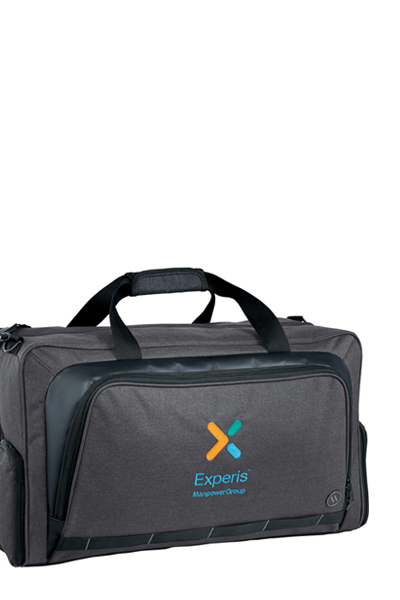 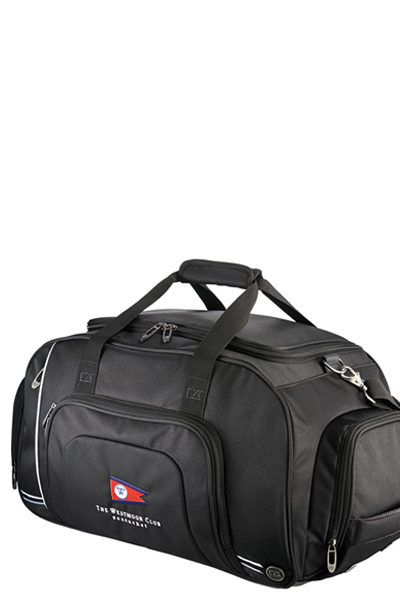 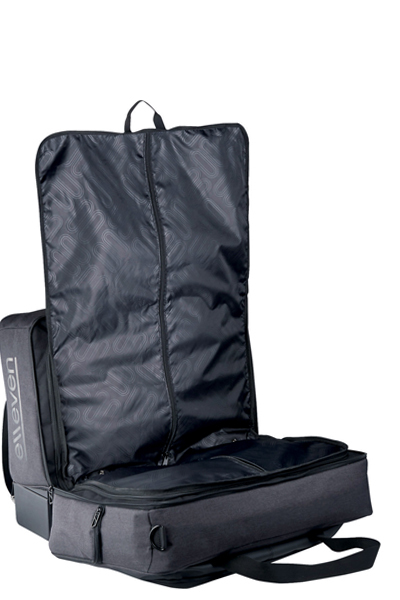 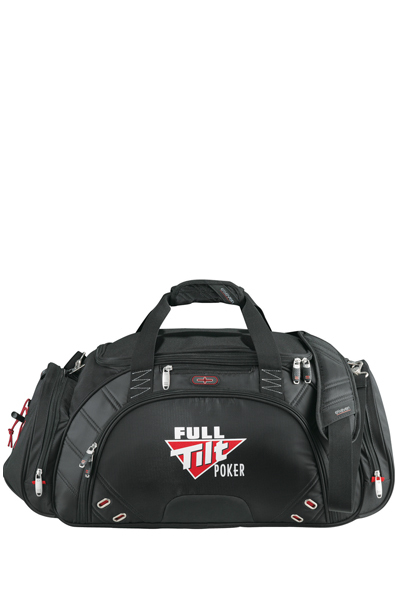 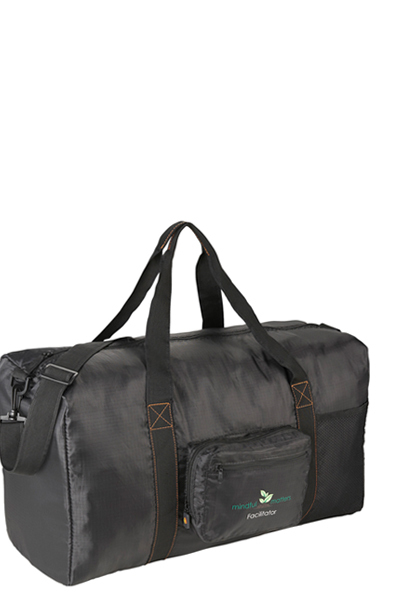 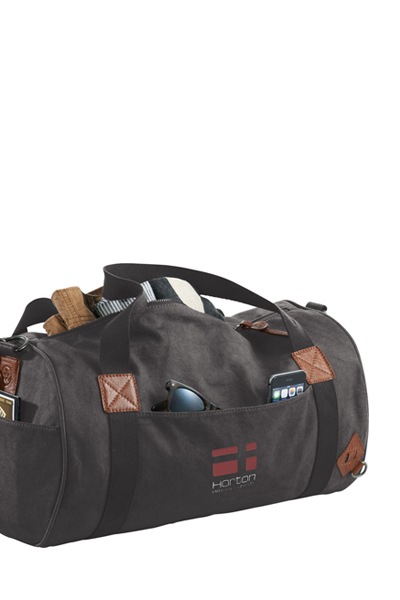 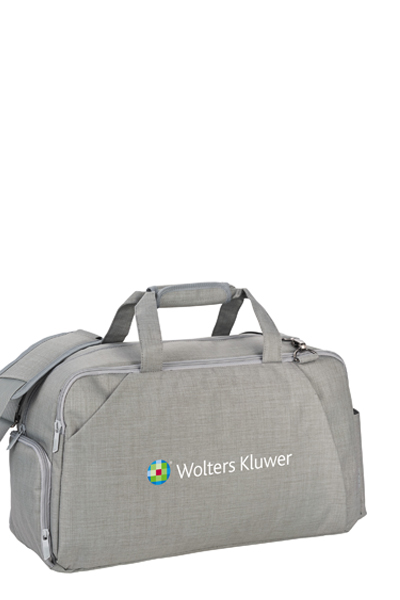 This innovative design combines both a carry-on size duffel and a removable zip-out garment bag. 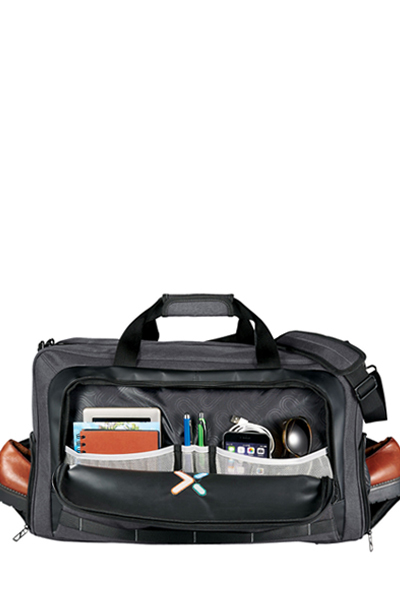 Other smart features include large zippered front organizer pocket and integrated shoe pockets. 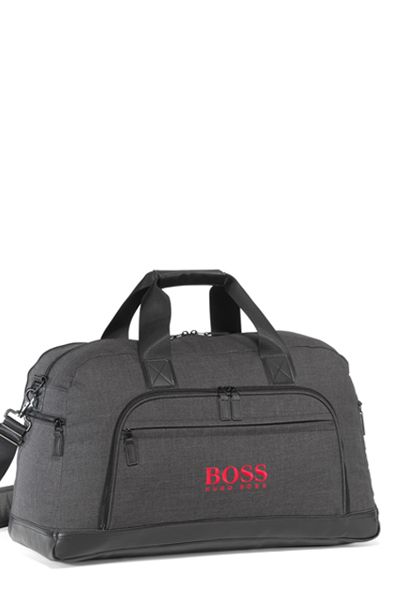 Padded and adjustable shoulder straps, signature elleven lining and hardware.